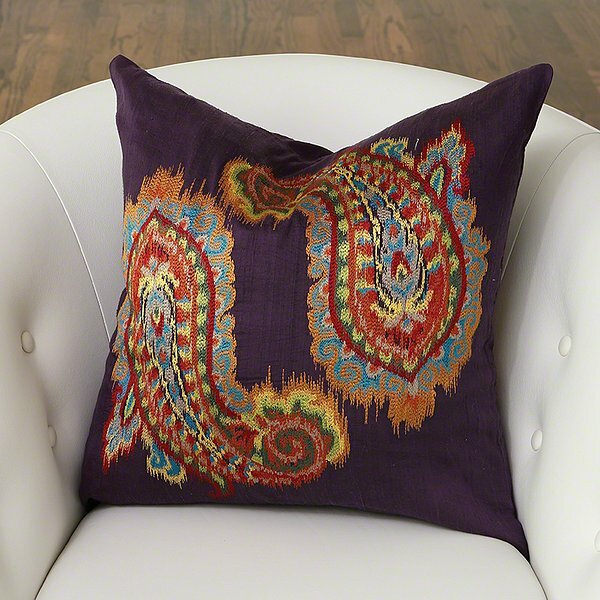 Global Views 9.92565 - Richly hued embroidery has been woven into a swirling pattern on our Ikat Paisley Pillow. The twisted tear drop shapes seem to dance with each other on a luxe purple silk background. We have taken the paisley pattern, made super popular in the 1960s and given it an indigenous ikat feel.